A giant ring-shaped research laboratory in Illinois is providing a new window into teeny, tiny molecules. What scientists learn there can help them study diseases, build better batteries, design bridges and aircraft, fight pollution and more. 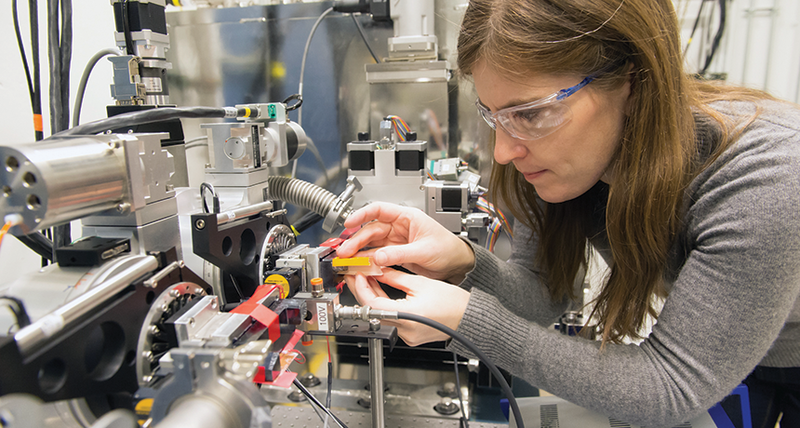 Known as the Advanced Photon Source, or APS, it sprawls across 8.6 hectares (more than 21 acres) at Argonne National Laboratory, just west of Chicago. This research center is big, both in terms of its value to science and its size. The outer diameter of its experiment hall spans 373 meters — the length of three and a half U.S. football fields. Within the building is a ring of narrow pipes that measure 1,104 meters (3,622 feet) around. You could fit a Major League Baseball stadium inside this ring! This facility is one of several particle accelerators around the world. Their goal is to send a beam of subatomic particles into some target and then watch what happens. (Subatomic particles are bits of matter smaller than atoms.) Those collisions can provide detailed information about the structure of things too small to see — things almost too small to imagine. Some accelerators shoot their particles down long, straight lines. 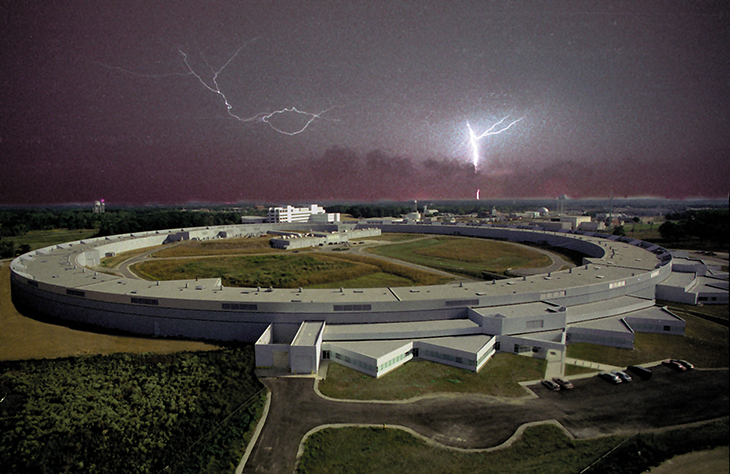 Others, such as this one at Argonne, send particles around and around some giant ring-shaped structure. And at APS, it’s not the beam of electrons that the scientists want to use — at least not directly. Rather, they want to harness the high-energy particles of light, called photons, which its electron beam creates. The photons’ high energy and tiny size are a powerful combo. Together they help scientists probe the properties of different molecules. In one recent study there, researchers showed how cooling a compound changes its ability to conduct electricity. In another, scientists revealed the point of attack for a disease-causing germ, called the Lassa virus. These teams and others can now use those findings for further work. Clearly, argues APS physicist Mary Upton, this big, big facility is “a very special and unique tool” to understand the world of the very, very small. Left alone, a beam of electrons would travel in a straight line. Bending their path to go round and round takes some steering. At Advanced Photon Source, magnets do that job. Equipment in a center building shoots out a beam of electrons. The accelerator then speeds up these electrons and steers them into a narrow pipe that runs through its large outer ring. Clusters of powerful magnets around the ring force these electrons to turn, a tiny bit at a time. Their path ends up making a big circle where they zoom around and around at nearly the speed of light. How nearly? Try more than 99.99999 percent of that ultimate speed limit.